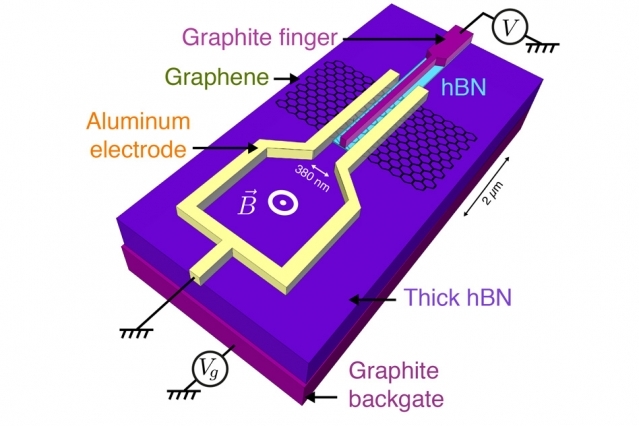 Graphene takes another step in revolutionizing electronics. The quest for a more efficient current — that which travels without losing energy — is fundamental to the development of electronics. Generally, researchers either create materials that can conduct electricity perfectly (so-called superconductors) or they develop materials capable of sustaining an electric current that flows without being converted into heat (so-called supercurrents). In short, graphene inherits the superconducting abilities of these materials as its electrons pair up into “Andreev states” — where non-superconducting materials become capable of carrying supercurrents.